Marcia Butler has had a number of creative careers: professional musician, interior designer, documentary filmmaker, and author. As an oboist, the New York Times hailed her as a "first rate artist." Acclaimed interior designs include projects in NYC, Boston, and Miami. The Creative Imperative, her documentary film exploring the essence of creativity, will release in Spring 2019. Her memoir, The Skin Above My Knee, was one of the Washington Post's "top ten noteworthy moments in classical music in 2017." 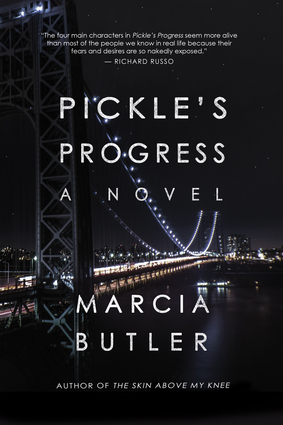 Pickle's Progress is her fiction debut. She lives in New York City.